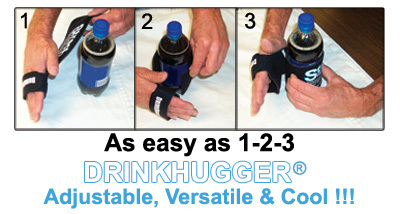 DrinkHuggers® are patented adjustable high quality neoprene (wetsuit material) food and drink insulators. 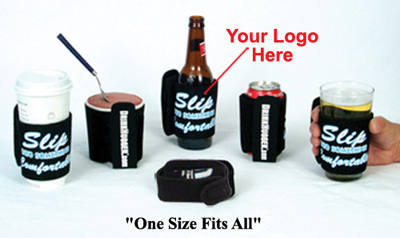 They are designed for use with conical shaped containers such as pint beer glasses, coffee cups, pint ice cream containers and standard beverage bottles and cans. 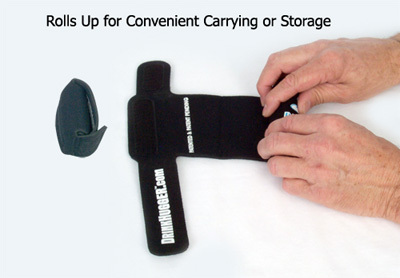 They can be used with innumerable hot and cold products.